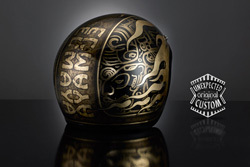 Luxurious and original design inspired by the evocative Maya writing. 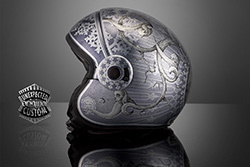 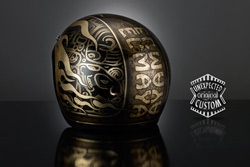 The ideographs and Mayan symbols are expertly mixed to the sinuous lines of the flame: icon of contemporary biker world, reinterpreted with this unusual combination that creates a refined and elegant aesthetic short circuit. 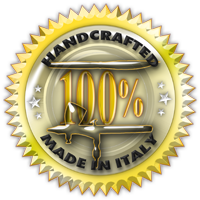 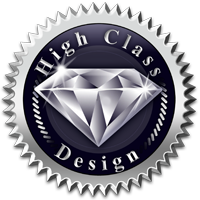 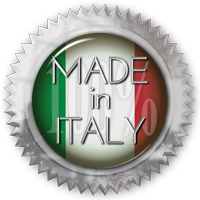 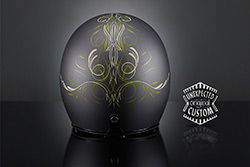 Made with airbrushed special colors for glass on a complete metal lamination. 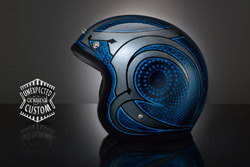 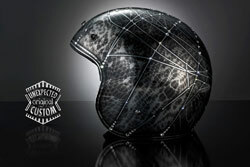 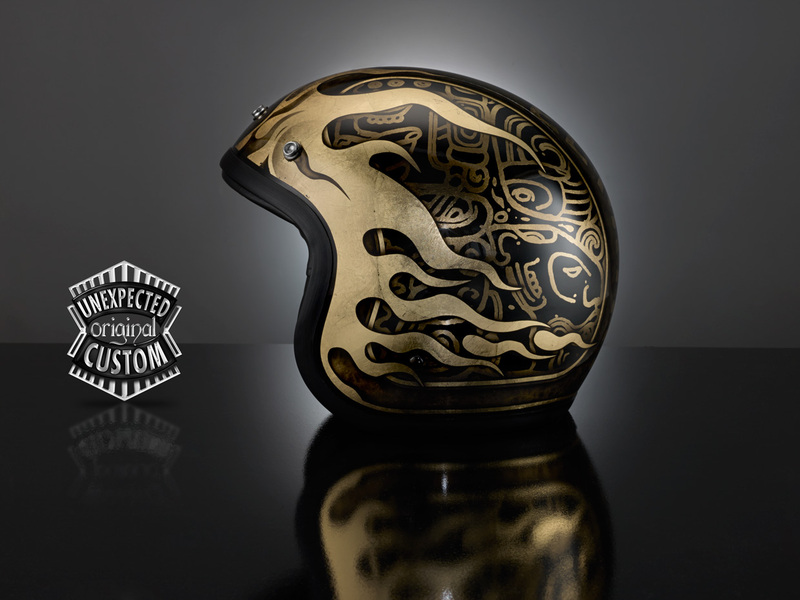 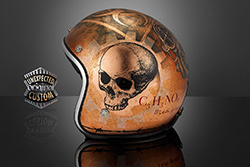 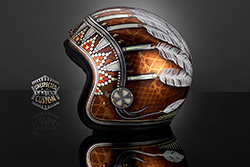 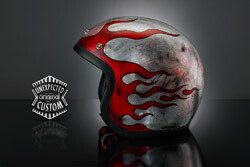 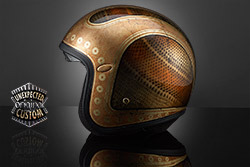 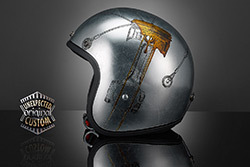 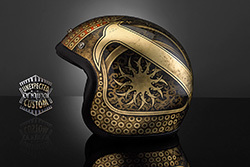 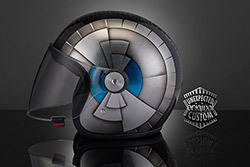 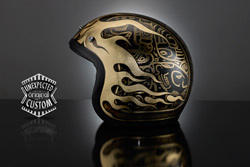 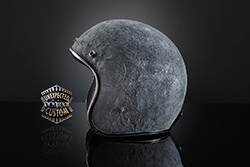 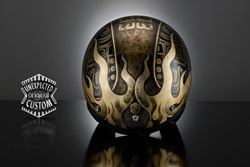 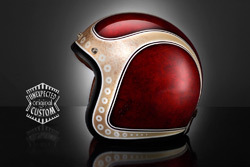 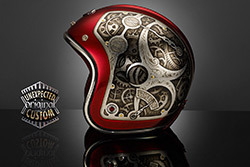 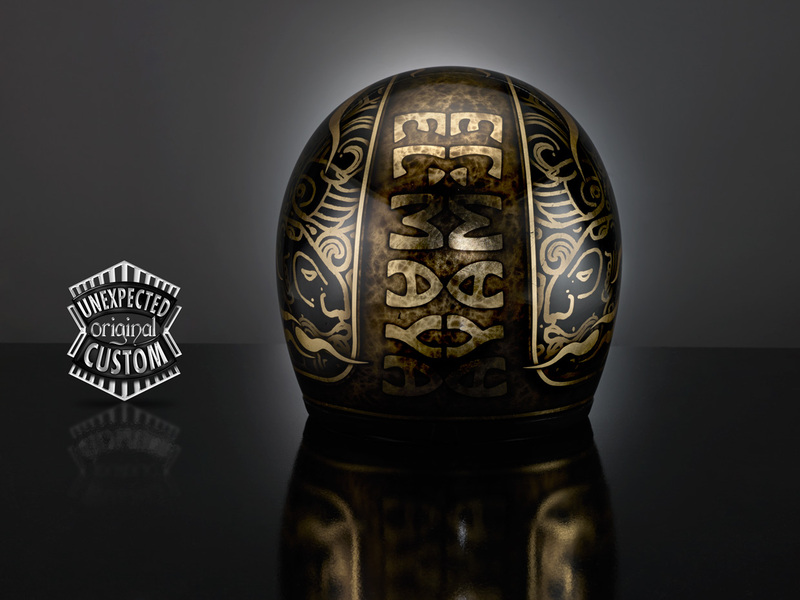 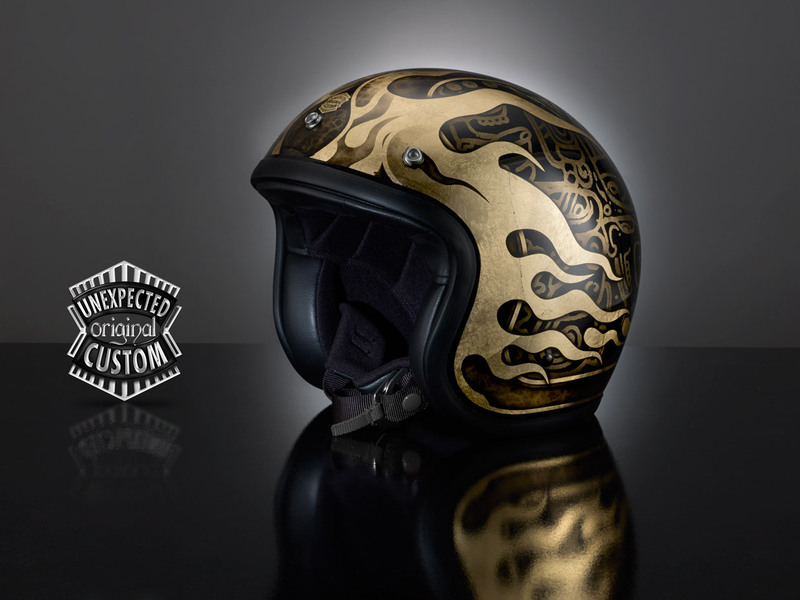 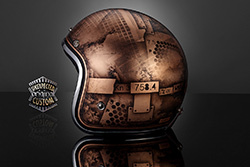 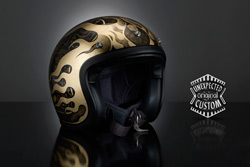 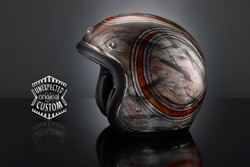 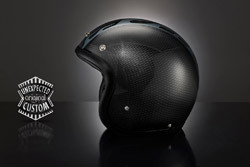 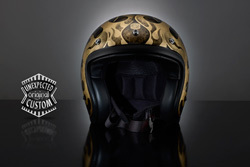 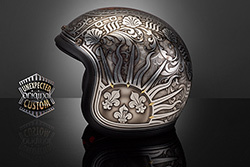 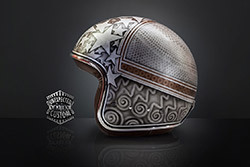 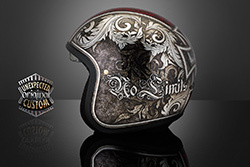 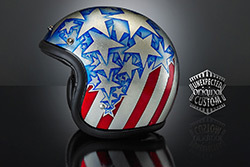 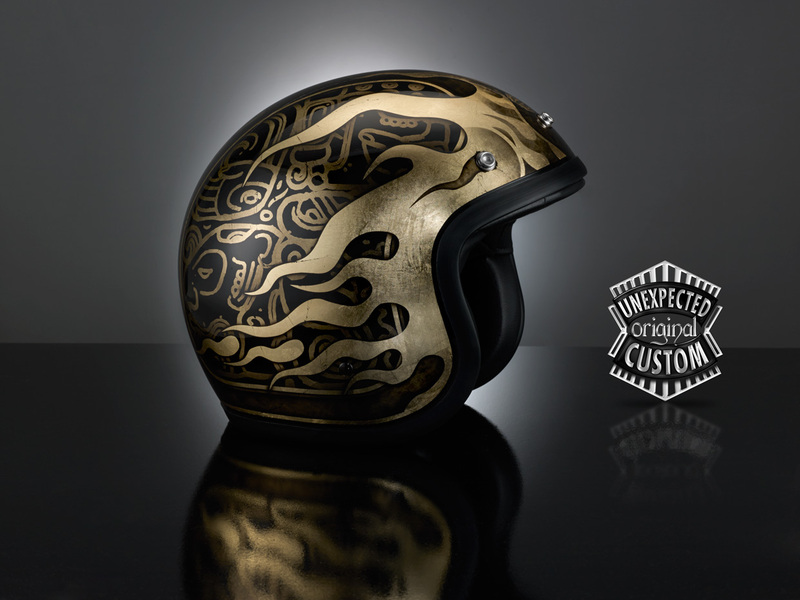 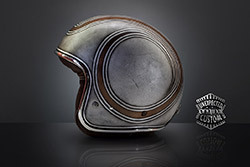 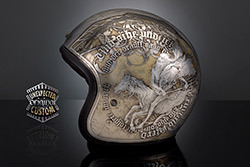 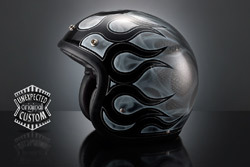 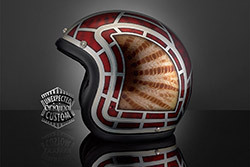 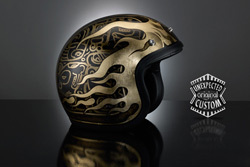 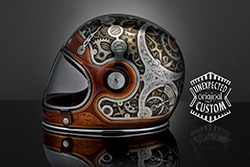 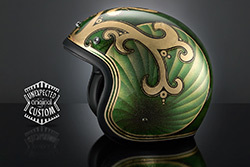 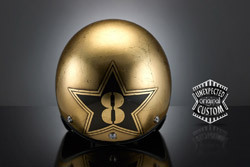 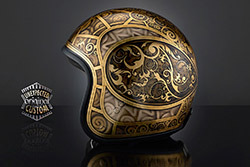 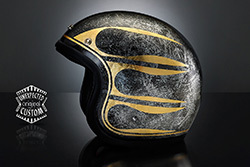 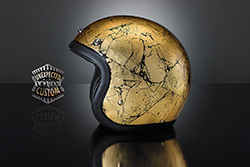 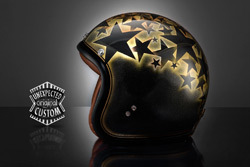 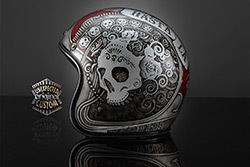 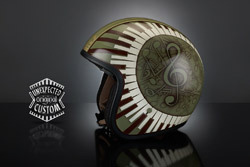 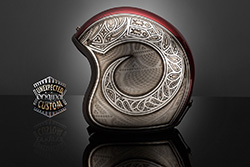 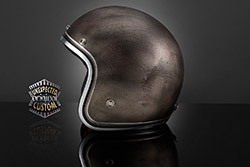 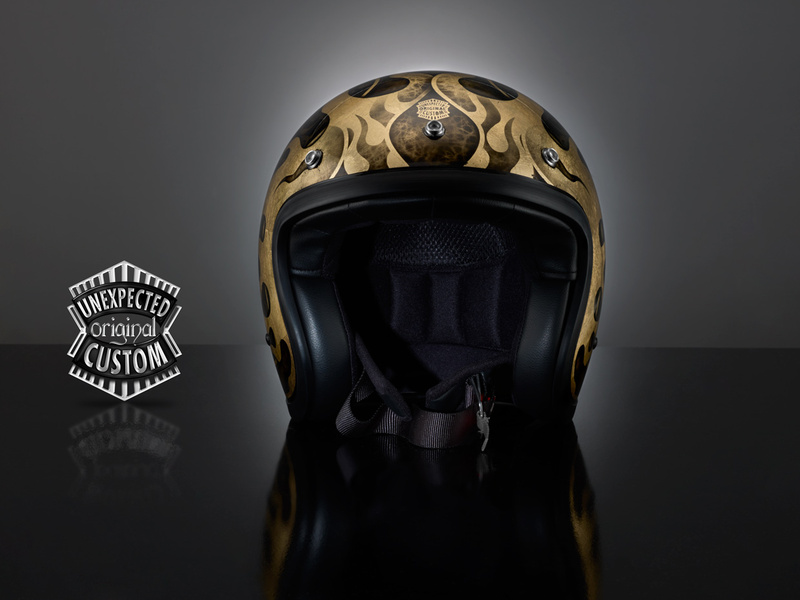 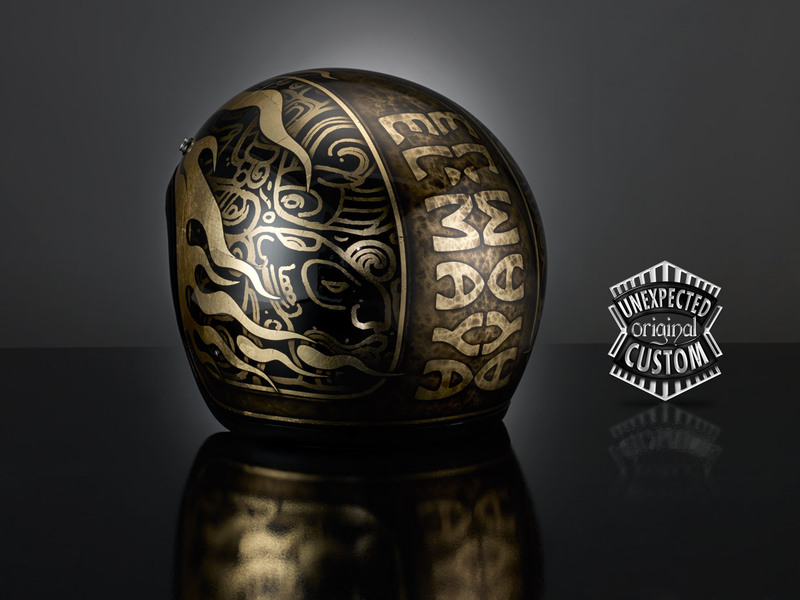 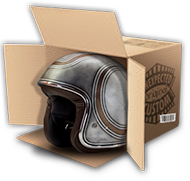 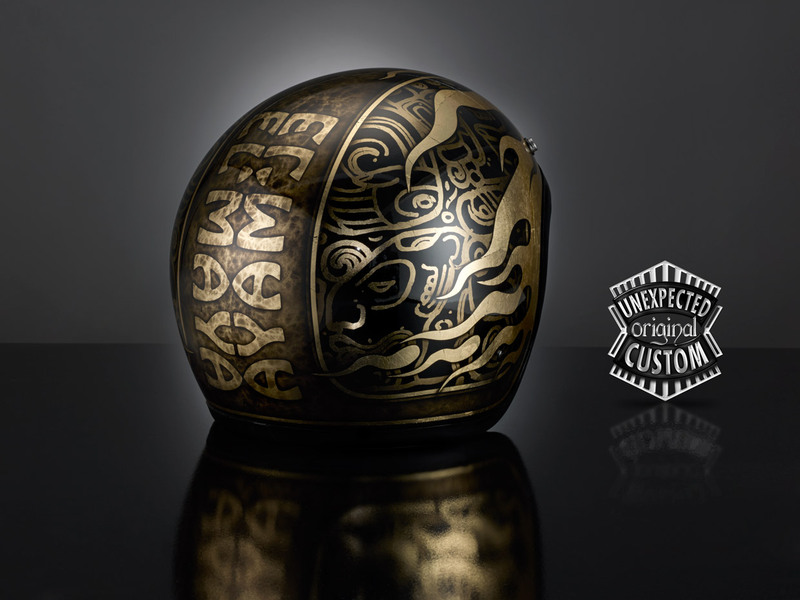 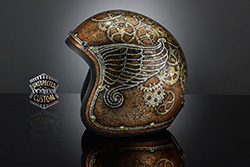 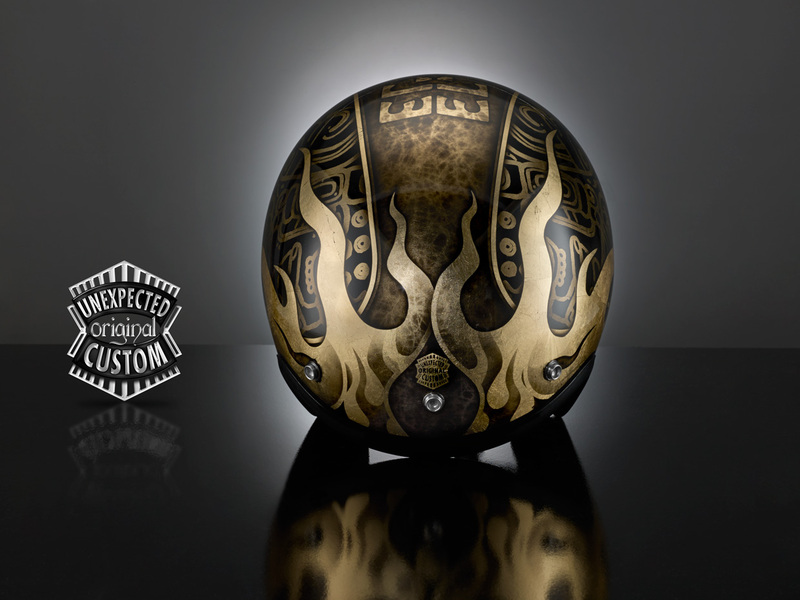 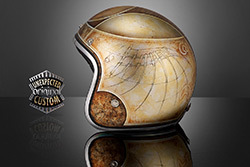 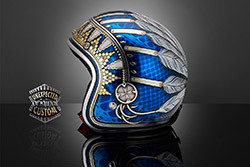 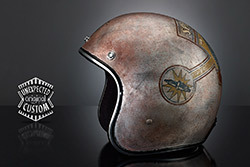 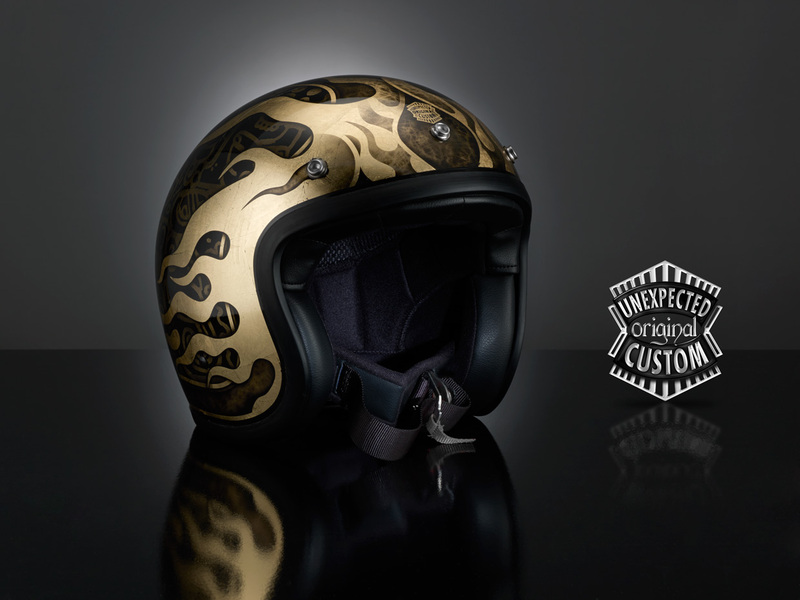 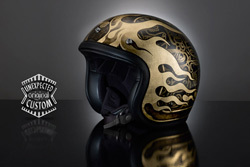 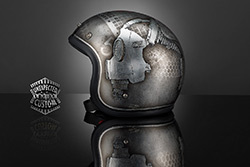 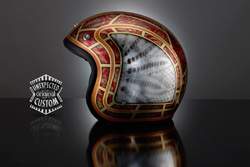 The artistic work of this custom helmet is particularly bright and elegant through the use of our special colors for glass that, airbrushed on the in gold leaf surface, offer a rich range of bronze colors and shades. 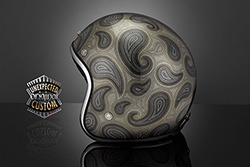 The realization of the middle lettering is obtained with a airbrushed marbled texture that enriches the customization of this design.